To have a practical and accessible work area with storage for tools and sundries similar to that available in a fixed workshop, but obviously on a smaller scale. Let’s see how the Syncro team managed to satisfy the customer’s requirements in this Crafter. 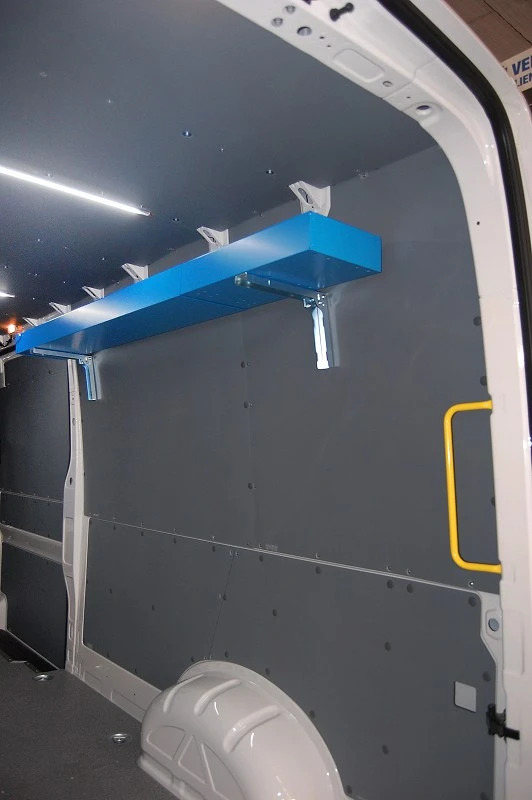 Syncro van liners perform two basic roles: they protect the bodywork against impact and damp and also provide a rigid surface for anchoring the racking modules. 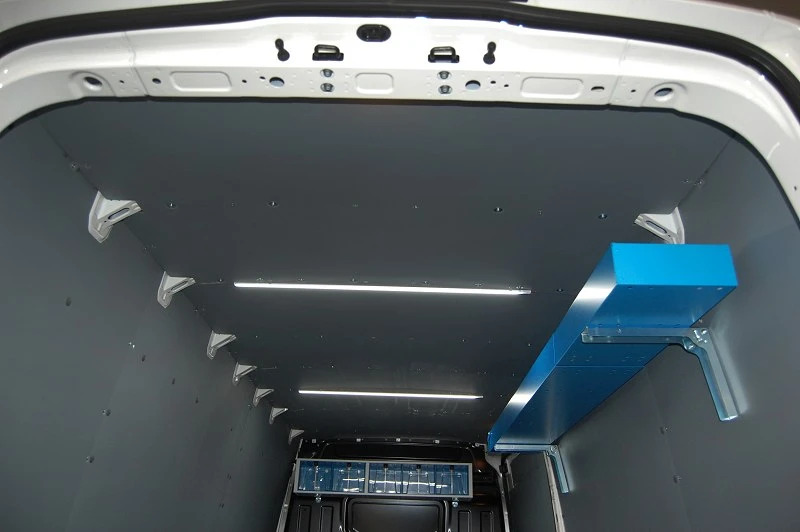 In this VW Crafter operated by a machinery installation and maintenance service, our main objective was to protect every inch of the van's body against accidental impact by the large items of equipment and spares that have to be loaded, transported and unloaded on a daily basis. This requirement explains the customer’s decision to line not just the floor and walls but the roof too. For the floor, the customer specified a marble-look plywood liner that is both tough and extremely easy to clean. The side walls, roof and doors are lined with painted metal panels. 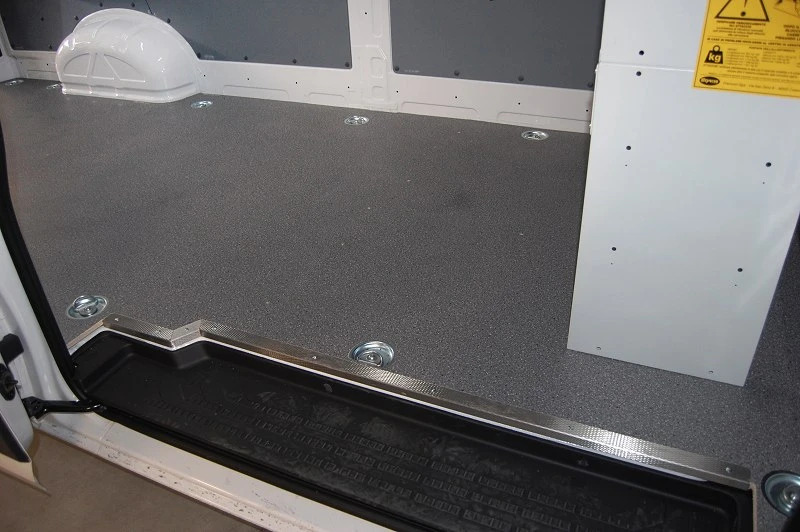 The photos also show an important detail that improves the safety and strength of the floor, especially in the presence of heavy loads: the door thresholds are finished with special, certified non-slip, stainless steel edging. 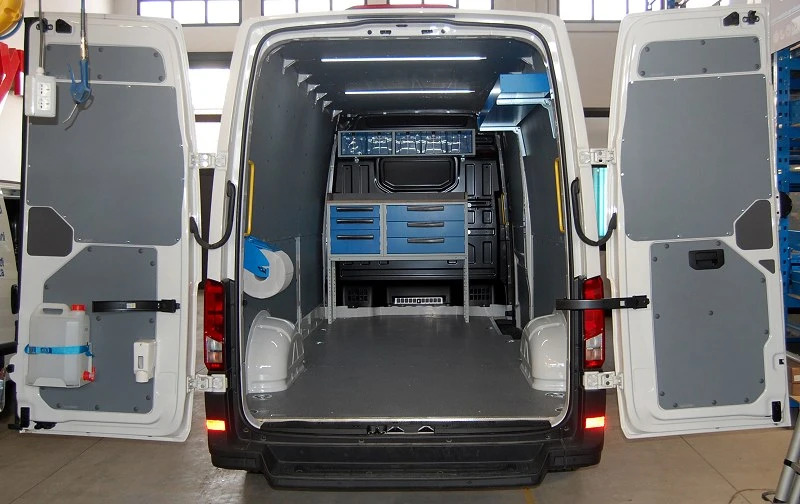 The only surface left unprotected in this Crafter is the bulkhead, which has been transformed into a workshop area with all the necessary storage facilities. The racking at the bulkhead consists of a work bench with a marble-look plywood top and raised edges at the sides and rear. 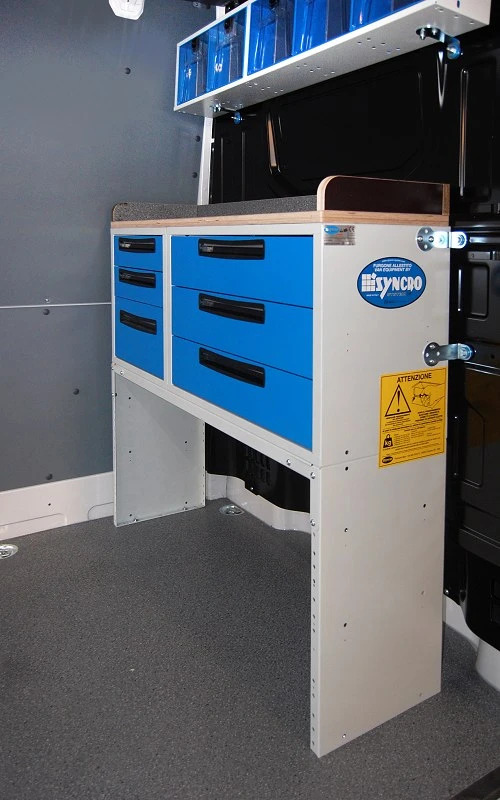 Six metal drawers with internal space dividers and non-slip rubber mats are located under the work top and provide storage for tools, while a cabinet of transparent plastic containers is provided at the top of the bulkhead as orderly storage for small spares and sundries. A full-length tray has been fitted at the top of the right side wall to carry long items. 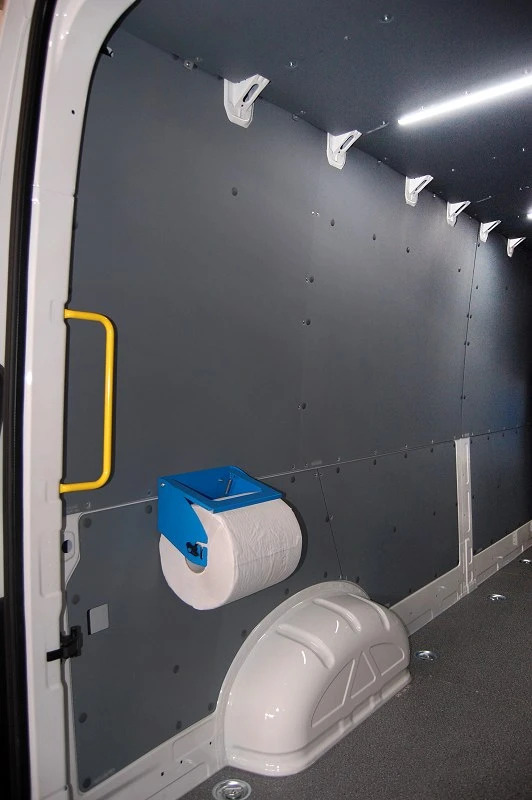 Three essential accessories (a paper roll holder, a water canister with tap and a soap dispenser) allow the operator to maintain cleanliness and hygiene at all times. Last but not least, this Crafter has also been fitted with LED ceiling lights to provide effective illumination even in the absence of natural light.